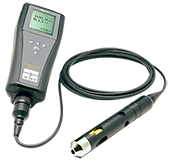 WaterLOG® is a world leader specializing in manufacturing precision water level instrumentation, and data logger telemetry systems for hydrological and meteorological measurements. 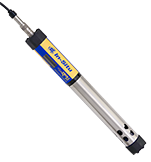 They provide a broad range of innovative equipment capable of reliable measurements in extremely harsh conditions. 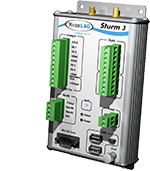 Instrumentation applications range from flood warnings, surface water, storm water, ground water, irrigation, meteorology and many others. Customers are hydro-meteorologists, scientists and anyone who needs to collect water level measurement in a range of applications. Colorimeters and Photometers are used to analyze samples of water, suspended sediment, and bottom material for their content of inorganic and organic constituents. In general, a colorimetric procedure involves adding some type of chemical (or “reagent”) to a sample of water. The reagent then reacts with the substance we are trying to measure, causing a color change in the sample. Determination of presence and quantity of impurities in water. Determination of presence and amounts of metals in water.